Q: What is the Aeon Award about? A: The Aeon Award is a short fiction contest (i.e. a writing competition for short stories) aimed at promoting writers and writing in the speculative fiction genres by giving the winning stories and their authors a high-profile publication in a respected genre-magazine as well as a substantial cash prize of either €1000 (first place), €200 (second place) and €100 (third place). Q: What do you mean by “speculative fiction genres”? A: We mean any story that can be classified as science fiction, fantasy or horror (including any and all of their subgenres). Q: I’m worried my story falls in-between or only marginally within these genres. A: We welcome work that is unclassifiable or falls in-between the established bounds of science fiction, fantasy or horror. Indeed, the judges have a very broad definition of these genres. For example, a horror story may include overt supernatural or visceral elements to achieve an intended effect. Or, it may be purely psychological horror, without any overt supernatural or visceral horror elements. If in doubt, query us at fraslaw@yahoo.co.uk. 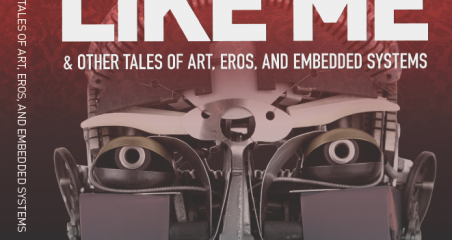 Q: My story is very adult in tone or explicit in content, is it eligible for entry? A: Certainly, but it will help if these elements are necessary and integral to the workings of your story. Q: My story might be classified as a children’s or young adult’s story. Is it eligible for entry? A: Yes. All we are looking for is great writing. Q: Do you have a particular preference for science fiction, fantasy or horror? A: No! Our judges have a broad appreciation for all speculative fiction genres, and do not hold bias for or against any sub-genre. Q: I’m not sure what you mean by the contest running for four rounds throughout the year. A: You can, effectively, enter your story at any time during the four rounds. The rounds are simply designed to inform authors within a reasonable time of whether their entries have been shortlisted or not. If they have not been shortlisted, they may submit elsewhere without the need to wait for the entire eleven months of the contest (which we would consider unreasonably long). For example, each year the contest opens for entries on January 1st and this marks the beginning of the first round of consideration. This round runs for three months to March 30th. About two weeks after the end of the first round, the judges will decide upon which of the stories received during this round should be shortlisted, and these stories will be announced on the Albedo One website. Stories that have not been shortlisted may now be submitted elsewhere. The second round begins immediately after the first round ends, opening April 1st and running for three months to June 30th. The third round also opens immediately, on July 1st and runs for three months to September 30th. The fourth and final round runs for two months to November 30th. In all cases, about four weeks after each round the additions to the shortlist are announced. Q: When can I not enter? A: The contest is open all year, except for the the month of December. Q: My story is on the shortlist, what happens after the final round ends November 30th? A: This is when the judges will decide upon the top six stories from the overall contest shortlist. The six chosen stories will then be announced on the Albedo One website, usually by mid to late December. If your story has not been chosen for the top six, you are then free to submit it elsewhere. If it has been chosen in the top six then you must await the decision of the Grand Judges, who will choose the winning three stories from the top six stories. 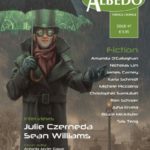 The three winning short stories are guaranteed publication in Albedo One and must not be submitted for publication elsewhere until after they have appeared in publication in Albedo One. Albedo One also retains the right to publish the other stories in the top six, and will inform authors within a maximum of two months after the announcement of the top six stories as to whether their stories will also be published. Albedo One never, ever, claims permanent rights to your work. Q: Can I submit by regular post? A: As of 2014, our preference is that stories are submitted by email to aeonaward@yahoo.com, as this helps us get your story to the contest judges as quickly as possible. If, however, you require submission by regular post, please contact Frank Ludlow at fraslaw@yahoo.co.uk for postal address details. Q: Who is the contest open to? A: The contest is open to everyone, everywhere. There is no restriction by nationality or location, or by age (although those under 18 years of age must have permission from their parents or guardians to enter). Q: Can I pay the entry fee through PayPal on behalf of someone else? A: As long as you have their permission, then this is no problem, but do let us know so that we can match the story with the payment. Q: Must I pay the €8.50 entry fee for each story I enter to the contest, or does one €8.50 entitle me to enter multiple stories? A: Each story entered must be accompanied by a separate €8.50 entry fee. In order for the Aeon Award short fiction contest to be as accessible as possible, we have tried to keep this fee as low as possible, and given the size of the prize money, you will see that it is a very modest fee in comparison to other fiction contests or writing competitions. Q: What are the word limits for entries? A: Stories can be any length, between 1 and 10,000 words. Q: Can a story at 1,000 or less words really compete in a writing contest against a story of 8,000 or more? A: Absolutely. Great writing is great writing no matter the length, and we recognise that some stories demand that they be told at certain lengths, be it in1,000 or 10,000 words. Q: I’m not sure if my story counts as being previously published? A: The Aeon Award contest will only consider stories that are previously unpublished in the English language. Appearances online in webzines or e-zines counts as previous publication. Self-publishing on your own websites or blogs also generally counts as previous publication, regardless of how many people are likely to have read your story in these venues. Posting stories in writing workshops, forums or blogs, where your intention is to receive feedback from readers and writers to further improve a story which is a work in progress is NOT counted as previous publication. Q: I’m still not sure whether my story counts as having been previously published, what can I do? A: We understand that there is a large grey area regarding what can or cannot be considered previously published, especially since the advent of the internet. If in doubt, query fraslaw@yahoo.co.uk and we will decide on a case by case basis. Q: Are stories previously published in a language other than English eligible to enter? A: YES. So long as your story has not been published previously in the English language, it is eligible to enter the Aeon Award writing contest. But it must be translated to English to enter. Q: Can I enter more than one story? A: Yes, you may enter as many stories as you wish. Q: If I have already entered a story, and it has been shortlisted, does this reduce my chances of having a second entry shortlisted? A: NO. All stories are judged anonymously. The judges do not know your name and it regularly happens that a single author will have more than one story shortlisted by the judges. Q: My story has been shortlisted, and I would now like to make some changes and corrections to the story before the final stages of judging. Is this allowed? A: No, for fairness to other shortlisted authors. However, after the contest is finished, if your story is one chosen for publication we will of course entertain changes and corrections at this stage. Q: What do you want in the cover letter? A: All we want is your name, postal and email contact details, proof that you have paid the entry fee, and the title of your story. You can include other details such as previous publications and other experience, if you wish. Q: Do I need to do anything to anonymize my entry? A: No, we will remove your name and details from your entry before sending it to our judges. Q: Will you confirm receipt of my entry? A: Yes! We will confirm receipt of your entry by email within eight weeks of receiving it. Q: It has been more than eight weeks and my entry has not been confirmed. A: For a small proportion of entries, your story may just have never made it to us, becoming lost in the digital void. If you have not had a confirmation email and eight weeks have passed, please query us at fraslaw@yahoo.co.uk, providing details of your entry and when it was sent. In the unlikely event that this situation arises with your submission, you have our sincere apologies in advance. Q: What do you mean by “proof of payment”? A: When paying by PayPal, please include in your cover letter your unique Transaction Id code (which will resemble 98B96318D4186023G) or your unique Receipt Number (which will resemble 2494-4301-2019-0796). These numbers are provided to you by PayPal as you complete the payment process. If you have difficulty finding these, please contact fraslaw@yahoo.co.uk. Q: I’m concerned about using my credit or debit card to pay the entry fee online. A: This is a perfectly legitimate concern, and this is why we use PayPal to allow entrants to pay the entry fee online. PayPal is internationally recognised as a fast, safe and secure way to make payments online. See www.paypal.com. Otherwise you may post the entry fee to us by cheque. Q: Do I need to have a PayPal account to pay the entry fee? A: NO. PayPal will give you the option of creating a PayPal account when you click the button to pay the Aeon Award short fiction contest entry fee, but you will also be given the option of paying directly with your credit or debit cards. Q: Will PayPal automatically convert my payment to euro if I am based in a non-euro country? A: Yes. PayPal will take care of the conversion. Q: Do you accept euro and non-euro cheques? A: Ideally, no, as the bank charge for lodging some cheques (and particularly non-euro cheques) can be more than the amount of the entry fee! But please contact bobn@yellowbrickroad.ie if you have a strong preference for payment by cheque or are experiencing difficulties finding a suitable payment method. Q: Why won’t you accept email entries by attachment? A: Simply, because it is much easier to contract computer viruses in this manner. Even for honest submissions, viruses can infect your attachment without your knowledge. Q: I’m worried about the formatting disappearing when I paste my entries into the body of an email. A: This does very occasionally occur (e.g. paragraphing goes awry). Rest assured that our judges are masters at reading submissions pasted into the body of emails, having honed their skills from over a decade of editorial reading for Albedo One. Absolutely no prejudice is held against the small percentage of stories that suffer from a loss of formatting in transmission by email, and we will contact you to resend your story if it is severe. Q: If my story is chosen as one of the winners, when will I receive my cash prize? A: As with payment for all stories published in Albedo One, payment will be made immediately after publication, or at an announcement/award ceremony if one is held and you are in attendance. Q: I have heard that some contests are money-making scams, or do not deliver on what they promise. A: This is, unfortunately, true. 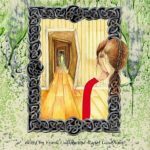 Moira Allen, editor of www.writing-world.com, provides a valuable list of warning signs or undesirable elements in fiction contests or writing competitions. This list is worth studying, and we are happy to say that the Aeon Award writing contest passes on all fronts. Our entry fee of €8.50 is modest and is used to pay the three substantial cash prizes of €1000, €200 and €100. These prizes are guaranteed and do not depend upon the number of entries to the contest. 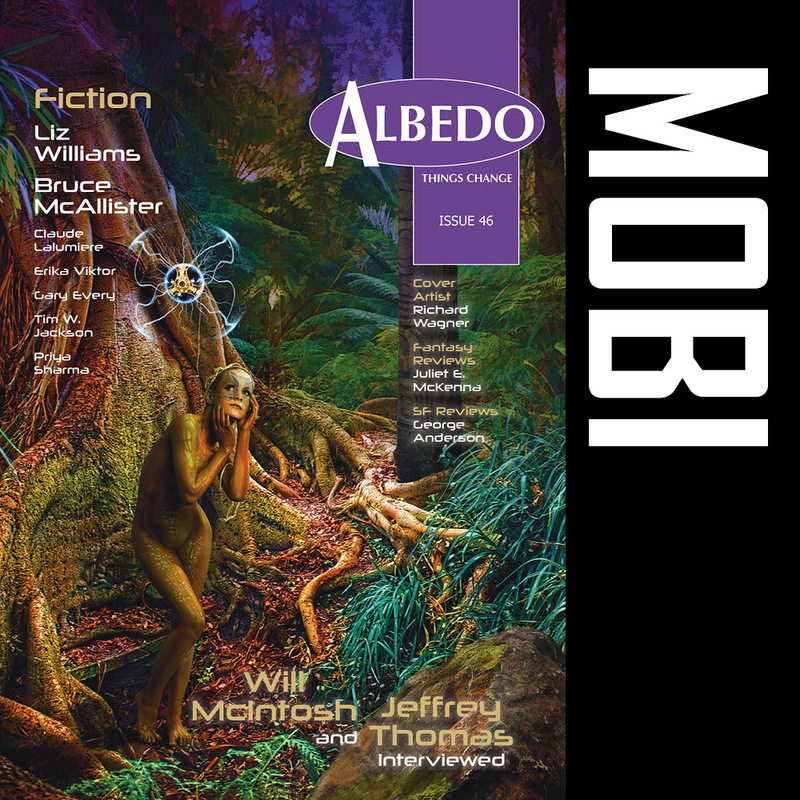 Publication is also guaranteed in Albedo One, a respected and long-running short fiction magazine (see the entry on Albedo One in The Encyclopedia of Science Fiction, for reference). We never ever claim permanent rights to any of your work, or ask you to pay a fee for publication of your work, or demand that you attend announcement/awards ceremonies in order to claim your prize, or require you to purchase multiple copies of the publication your story appears in as a condition of entry or winning (all of which are undesirable characteristics of some writing contests). The following webpage of Questions to Ask Before Entering Writing Contests is also worth examining. If you have any questions or concerns about any aspects of the Aeon Award fiction writing contest, please do get in contact (emails to fraslaw@yahoo.co.uk) and we will do our very best to allay your concerns.